A handy pocket-size sharpener specially designed for the proprietary serrations used on Cold Steel® brand folding and fixed blade knives. The special grooves exactly match the mini serrations. Safety thumb rests and keychain keep the sharpener always ready to serve at home or in the field. 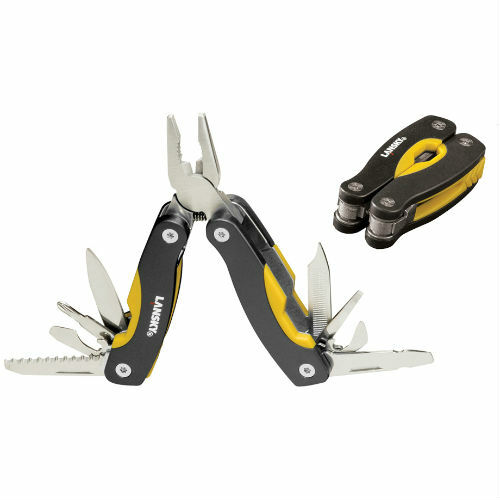 This alumina ceramic rod is a super compact pocket knife sharpener, and perfect for quick sharpening of knives. 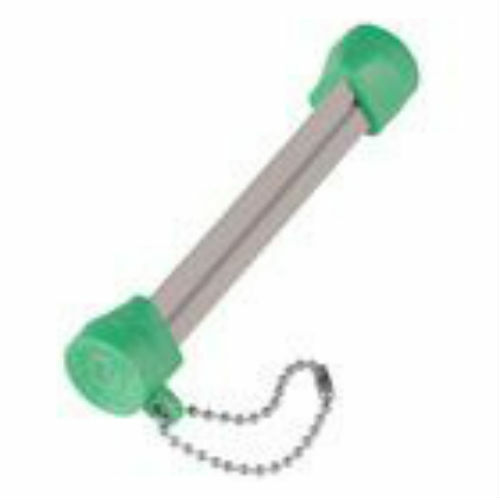 Featuring a convenient key chain attached to colorful, patented finger guards. Lansky The Puck Sharpener. 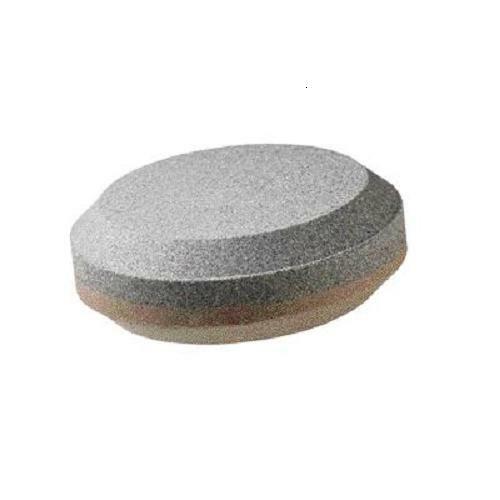 3" diameter dual grit carbide sharpening stone measures 1" thick. 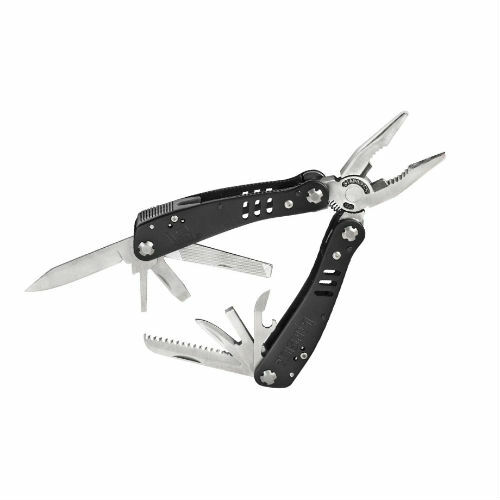 Ideal for axes, machetes, hatchets, etc. 7" overall. 3 1/2" blade with 1" serrated section. Constructed entirely of molded space age plastic. Double edge. 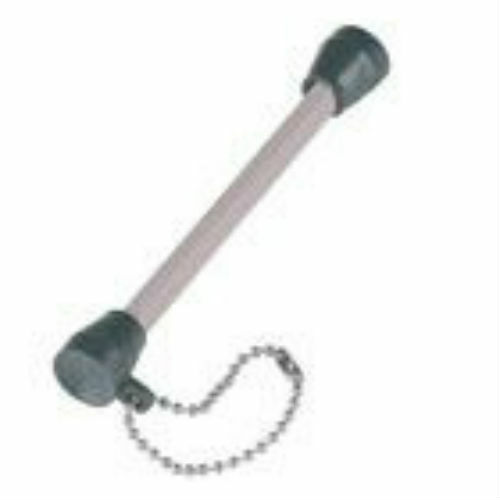 Checkered sure grip handle. Handy and dependable. 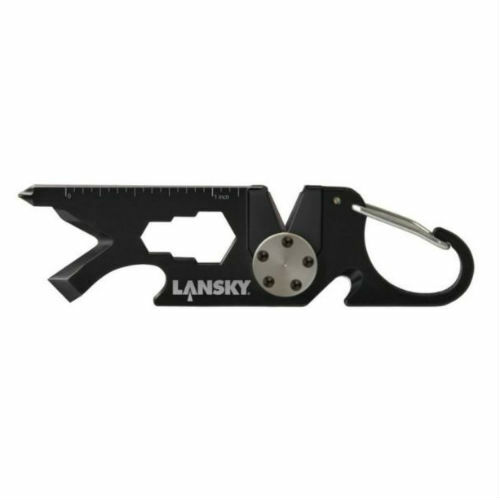 The 800 grit Lansky 8" Ceramic Sharp Stick features a wood grip handle. 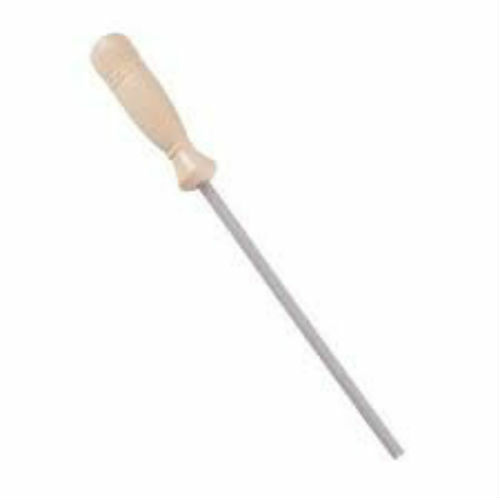 Just a few strokes with this medium grit ceramic rod every few times you use your knife, is all you need to keep your knives sharp and ready.